Season 20 opens with Tracy Morgan. Also: Twenty days of surprise trip giveaways kick off. Libertarian candidate Gary Johnson is featured in "The Political View." Mary J. Blige and Maxwell; Gigi Hadid and Tommy Hilfiger. Episode 5 - Dr. Phil McGraw/Harry Connick Jr.
Dr. Phil McGraw; Harry Connick Jr. Also: "View Your Deal." 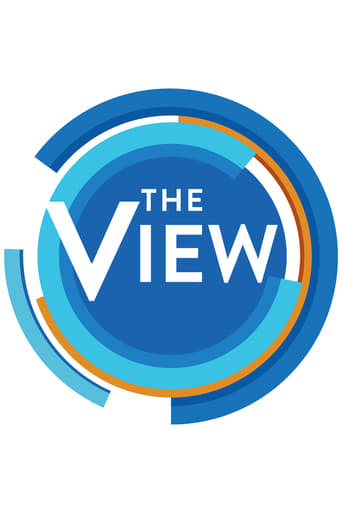 "The Political View" features White House senior adviser Valerie Jarrett; Whoopi Goldberg highlights her new series "Strut" with cast members Laith De La Cruz and Dominique Jackson. Also: a look at the 68th Primetime Emmy Awards; "View Your Deal." Jamie Lee Curtis; Cookie Johnson. Anthony Anderson. Also: an eliminated couple from "Dancing With the Stars." "Hot Topics" with Lisa Ling. Also: a surprise music performance. Geena Davis. Also: Dr. Tiffany Crutcher, sister of Terence Crutcher, who was fatally shot by a police officer. "Day of Hot Topics"; a special edition of "View Your Deal"; Oprah's favorite things with Adam Glassman. "The Political View" with Clinton campaign manager Robby Mook; Common. "The Political View" with Trump campaign manager Kellyanne Conway; Lupita Nyong'o and David Oyelowo, of "Queen of Katwe." "Hot Topics" with Colin Jost and Michael Che; Hayley Atwell. Sheryl Crow; Mindy Kaling. Also: a special installment of "View Your Deal" benefiting breast-cancer charities with Gretta Monahan. "Day of Hot Topics"; an Oprah's favorite things installment of "View Your Deal" with Adam Glassman. "Hot Topics" with Nancy Grace. "The Political View" with vice-presidential candidate Tim Kaine (D); Neil deGrasse Tyson. Clay Aiken speaks with supporters at a Trump rally. Also: "View Your Deal." "The Political View" with Martha Raddatz. "The Political View" with Sen. Al Franken (D-Minn.). Also: Daphne Oz. "Day of Hot Topics." Also: "View Your Deal." Nathan Lane, John Goodman and John Slattery, of Broadway's "The Front Page." Ewan McGregor and Dakota Fanning, of the 2016 film "American Pastoral." Halloween is celebrated with "A Cartoon View," in which the hosts dress up as cartoon characters. Also: Ken Jeong; a performance by Kristin Chenoweth; and ghoulish gadgets and costumes inspired by hot topics. "Day of Hot Topics." Also: Tom Bergeron. "Day of Hot Topics." Also: "The Political View" with Chris Wallace. "The Political View" with Ana Navarro. Tom Selleck. Also: a look at the work of Homes for Our Troops. Priyanka Chopra. 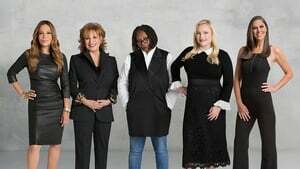 Original series cohosts Joy Behar, Meredith Vieira, Star Jones and Debbie Matenopoulos are the hosts. Sen. Bernie Sanders (I-Vt.). Also: Whoopi's birthday bash; "Whoopi's Favorite Things." Rascal Flatts. Also: "View Your Deal" Oprah edition with Adam Glassman. Megyn Kelly; gymnast Simone Biles. Episode 54 - Cast of "Fantastic Beasts and Where to Find Them"
Eddie Redmayne, Katherine Waterston, Alison Sudol and Dan Fogler, of the 2016 film "Fantastic Beasts and Where to Find Them." Garth Brooks. Also: "View Your Deal." Martha Stewart; Jeuness Track Club founder Jean Bell; the winning couple and runners-up from "Dancing With the Stars." Billy Bob Thornton. Also: holiday-shopping tips and deals. Sarah Jessica Parker. Also: "View Your Deal." Neil Patrick Harris; Tim Tebow. Filmmaker Tom Ford ("Nocturnal Animals"). "The Political View" with Van Jones. Also: Whoopi Goldberg receives the Elizabeth Taylor Legacy Award for her AIDS activism. Steve Harvey; Helen Mirren; "View Your Deal" holiday edition. "Day of Hot Topics." Also: "View Your Deal" holiday edition. "The Political View." Also: Ali Wentworth. Taraji P. Henson. Also: "Whoopi's Favorite Holiday Things." Trump adviser Kellyanne Conway. Also: "Day of Hot Topics." Patti LaBelle. Also: a performance by Darlene Love; hot holiday toys. Charlie Sheen. Also: Clay Aiken and Sunny Hostin visit a high school in Iowa to discuss reported post-election bullying and peaceful, student-organized protests. "The Political View" with Vice President Joe Biden and his wife, Dr. Jill Biden. Also: Diane Sawyer. Martin Luther King Jr. Day is celebrated with Van Jones, anti-hate activist Arno Michaelis and Serve 2 Unite co-founder Pardeep Singh Kaleka. Also: Clay Aiken and Sunny Hostin visit a high school in Iowa to discuss bullying and peaceful protests. Cristela Alonzo. Also: an all-American edition of "View Your Deal." "Political View" with Samantha Power, former U.S Ambassador to the United Nations. Episode 90 - James Monroe Iglehart/Broadway's "Aladdin"
James Monroe Iglehart. Also: Whoopi Goldberg visits the set of Broadway's "Aladdin." Gretchen Carlson (guest cohost); Omarosa Manigault, assistant to the president and director of communications for the office of public liaison. Sybrina Fulton and Tracy Martin, parents of Trayvon Martin. Also: "View Your Deal" Oprah Edition with Adam Glassman. "Guy Day Friday" features Jason Biggs (guest cohost) and Robert De Niro. Also: Super Bowl snacks with Carla Hall. Sara Haines reports from the Super Bowl. Also: a special edition of "View Your Deal" with Sarah Michelle Gellar. Episode 98 - "Day of Hot Topics"
Tracee Ellis Ross; Sen. Elizabeth Warren (D-Mass.). Priyanka Chopra (guest cohost); Will Arnett. "Day of Hot Topics." Also: "View Your Deal" Oprah edition with Adam Glassman. Holly Robinson Peete and Rodney Peete play "The Newlywed Game" with Sara Haines and her husband, plus Sunny Hostin and her husband. Lindsay Lohan. Also: Darrell Hammond guest judges a Donald Trump impersonator contest. "The Political View" with Sen. Charles Schumer (D-N.Y.). Episode 110 - Henry Louis Gates Jr.
"Guy Day Friday" includes guest cohost Howie Mandel. David Hyde Pierce. Also: "View Your Deal" after-Oscars special edition. "The Political View" with political commentator Tara Setmayer. John Stamos. Also: Andy Grammer performs. From Walt Disney World Resort in Florida. Ariel Winter; Sherri Shepherd. From Walt Disney World Resort in Florida. Eric Stonestreet; Audra McDonald. From Walt Disney World Resort in Florida. Mandy Moore. Also: James Cameron and Whoopi Goldberg explore the theme-park attraction "Pandora: The World of Avatar." From Walt Disney World Resort in Florida. Tom Bergeron; chefs Masaharu Morimoto and Art Smith. Also: Train perform. From Walt Disney World Resort in Florida. Gillian Anderson and Jennifer Nadel. Also: "View Your Deal," Oprah edition, with Adam Glassman. Trae Crowder, Corey Ryan Forrester and Drew Morgan, authors of "The Liberal Redneck Manifesto: Draggin' Dixie Outta the Dark." "The Political View" with Tomi Lahren. Sanaa Lathan and Mack Wilds. Also: "View Your Deal." Rachel Maddow; author Bruce Feiler. Jane Fonda and Lily Tomlin. Also: "View Your Deal." "Guy Day Friday" features cohost Alex Rodriguez. Also: Katey Sagal. "Day of Hot Topics"; "View Your Deal." Episode 140 - Morgan Freeman, Michael Caine and Alan Arkin; T.I. Morgan Freeman, Michael Caine and Alan Arkin, of the 2017 film "Going in Style." Also: T.I. Marc Summers hosts the fifth annual "View/Chew Cook-Off." Also: Tyrese Gibson. Kelly Rowland; Bill Nye. Also: a performance by the Dance Theatre of Harlem. Sesame Workshop executive Sherrie Westin plus muppets Julia and Elmo; Susan Sarandon; Jack Hanna. Jackie Evancho and her sister, Juliet Evancho, discuss transgender rights and Jackie's request to meet with President Trump. Also: a spring fashion show. "Day of Hot Topics." Also: "View Your Deal" Shark Tank edition with Lori Greiner. "The Political View" with Sen. Elizabeth Warren (D-Mass.). Also: Julian Lennon. Anne Hathaway. Also: "The Political View" with Matthew Dowd. Allison Janney. Also: "View Your Deal" Oprah edition with Adam Glassman. "The Political View" with Gov. John Kasich (R-Ohio). Also: Kelly Osbourne. Dr. Phil; Sheryl Sandberg and Adam Grant. Salma Hayek and Eugenio Derbez; Dr. Ian Smith. Ann Coulter. Also: "View Your Deal." "Guy Day Friday" features guest cohost Deion Sanders. Also: Wanda Sykes. "The Political View" with Sen. Kirsten Gillibrand (D-N.Y.). Also: "View Your Deal." "The Political View" with Condoleezza Rice. Also: Ashley Graham. Patti LaBelle performs. Also: NFL player Drew Brees.